Behavior Frontiers is proud to announce that we are bringing our exceptional applied behavior analysis (ABA) treatment program and clinicians to the San Jose, California area. Our professional and highly skilled staff is NOW available to conduct intake assessments with your family to begin the treatment process. Please contact us at 669-444-5980 to find out more about our services and to schedule an initial appointment. Whitney earned a Bachelor's Degree in Psychology, and a Master's Degree in Applied Psychology (with a concentration in Applied Behavior Analysis) from Rider University. She has worked in the field of Applied Behavior Analysis (ABA) since 2012 and has been a Board Certified Behavior Analyst (BCBA) since 2015. As part of the Behavior Frontiers team, she has supervised ABA services in the home, school, and community settings. Whitney is a member of the Association of Behavior Analysis International (ABAI), and the California Association for Behavior Analysis (CalABA). Whitney has provided and overseen treatment programs in four different states across the country. 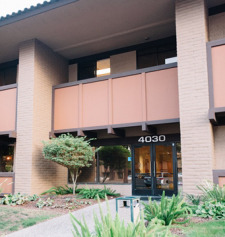 She currently oversees the treatment programs of those clients served in the San Jose area. She is dedicated to providing high quality services, individualized treatment programs for each of her clients, and strives to help each child meet his or her greatest potential.